International Space Station (ISS) Expedition 42 Commander Barry Wilmore (USA), and Flight Engineers Alexander Samokutyaev (Russia) and Elena Serova (Russia) will be returning to Earth on Wednesday, March 11, 2015, in a Soyuz spacecraft. You can watch LIVE, in the NASA TV window below, the ISS change of command ceremony on March 10, and hatch closure, undocking, de-orbit, and landing in Kazakhstan on March 11, 2015. Also below is the March 4, 2015, full NASA Press Release on return to Earth, with NASA TV live coverage times (all Eastern Time). This is a milestone event for SSEP Mission 6 to ISS. After the October 28, 2014, loss of the Orb-3 rocket and all original Mission 6 Yankee Clipper experiments, the Yankee Clipper II replacement experiments launched to Station on SpaceX-5 Dragon on January 10, 2015, from Cape Canaveral Air Force Station, FL, (watch liftoff), and departed Station and returned to Earth on the same vehicle on February 10. 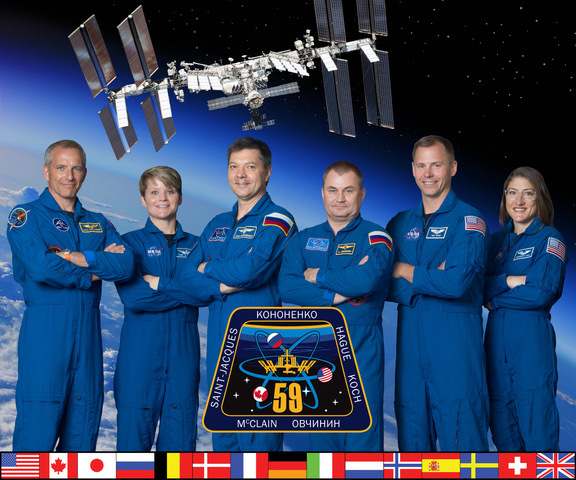 While aboard ISS, Station Commander Wilmore operated all 17 re-flight experiments on the 5 scheduled Crew Interaction Days (see Mission 6 Experiment Log). All Mission 6 student flight teams are now harvesting and analyzing both their ground and flight experiments. It is now a SSEP tradition that whenever astronauts operating SSEP payloads return to Earth, we share what that must be like with the over 100 communities across the U.S. and Canada participating in this program. The video below captures the experience for astronauts departing ISS, possibly for the last time in their careers. It is David Bowie’s Space Oddity sung by Canadian astronaut Chris Hadfield. This is particularly poignant given one Mission 6 experiment was from School District 73 in Kamloops/Thompson, Britich Columbia, and three Canadian communities – University of Toronto Schools, Toronto, Ontario; Bishop Carroll High School, Calgary, Alberta; and Ryerson University, Toronto, Ontario – started Mission 8 on February 23, 2015. Right now there are 4 operational SSEP flight opportunities – 15 communities comprising Mission 5, and we hope to see many reporting at the National Conference at the Smithsonian in Washington, DC, in July; 18 Mission 6 communities in the middle of experiment analysis; 24 Mission 7 communities in the middle of flight safety review; and 14 communities just starting Mission 8. Mission 9 will be announced next week for a program start in mid-September 2015. Just before his return to Earth on Soyuz 33S, on May 13, 2013, Expedition 35 International Space Station Commander and Canadian astronaut Chris Hadfield – the first Canadian to walk in space –released this video. Three International Space Station crew members are scheduled to leave the orbiting laboratory Wednesday, March 11 after almost six months in space performing scientific research and technology demonstrations. NASA Television will provide complete coverage of their departure and return to Earth, beginning with the space station change of command ceremony on Tuesday, March 10. Expedition 42 Commander Barry Wilmore of NASA will hand over command of the station to fellow NASA astronaut Terry Virts. At 6:44 p.m. Tuesday, Wilmore and flight engineers Alexander Samokutyaev and Elena Serova of the Russian Federal Space Agency (Roscosmos) will undock their Soyuz spacecraft from the space station and land in Kazakhstan at 10:08 p.m. (8:08 a.m. March 12 Kazakh time). Their return will complete 167 days in space since launching from Kazakhstan on Sept. 26, on a mission covering almost 71 million miles. Wilmore will have logged 178 days in space on two flights, the first of which was on space shuttle mission STS-129 in 2009. Samokutyaev will have spent 331 days in space on two flights, the first of which was on Expedition 27/28 in 2011. This was Serova’s first flight into space. At the time of undocking, Expedition 43 officially will begin aboard the station under Virts’ command. 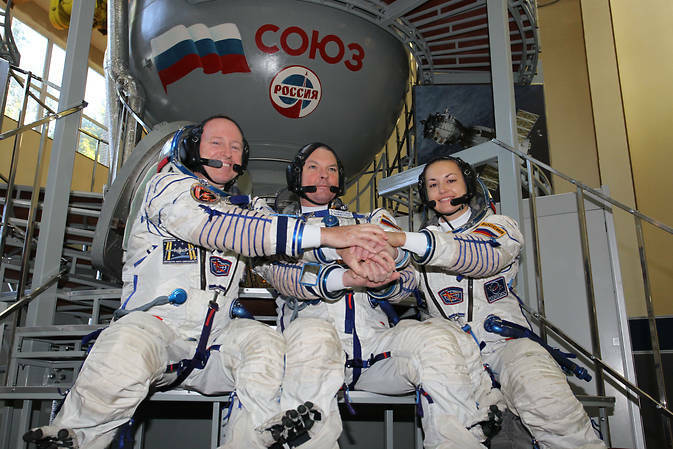 Along with his crewmates Anton Shkaplerov of Roscosmos and Samantha Cristoforetti of ESA (European Space Agency), the three-person crew will operate the station for two weeks until the arrival of three new crew members.